Our Dancers, Musicians, and male and female fire dancers are talented, top-notch professionals, and perform for crowds of all sizes in a vast array of settings and venues. Below is a short bio of our current talent-lineup. We offer an array of options to customize a perfectly authentic performance for your special events and celebrations. No performance is too big or small. If there is something you are envisioning, we can do it! Hale O Malo Productions brings Hawaii to you! Spreading the spirit of Aloha for over 20 years. 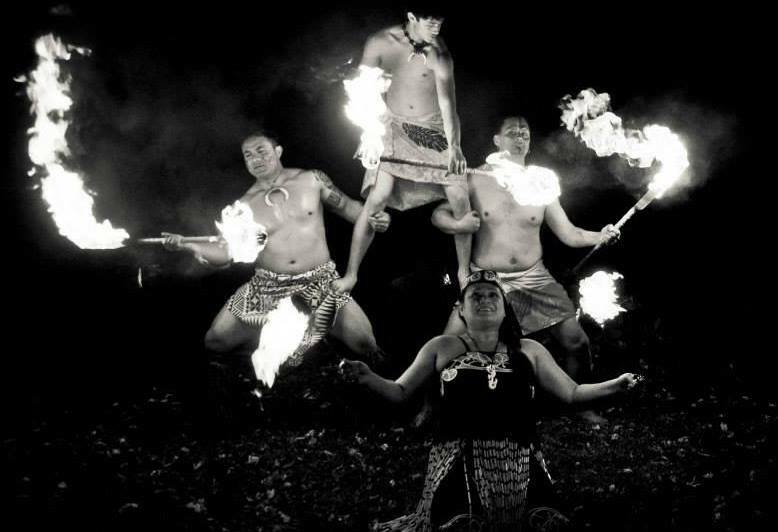 Let them take you on a journey across the Polynesian Pacific with authentic, songs, costumes, and dances of our people.. The haunting blow of the conch, heart warming smiles, flaming knives or fire poi.. and even a hula lesson for the audience! Suitable for ANY celebration, event, Assisted Living/ Senior Care Institutions, and more. Ocean Rush brings a fresh and eclectic cast of diverse talent, and puts it's own unique flavor and soul into Traditional & Contemporary Hawaiian, Raggae, Pop, Rock, Jazz and original music. Sweet vocal harmonies accompany drums, strings, keys, and ukulele- Duo, trio, and up to the full 6 piece band to fit your party and venue needs. Suitable for: Wedding Ceremonies, Receptions, Concerts, Festivals and more. "Hands on Hawaii" Cultural Edutainment Demonstration & Show & Tell - Malia Chow hosts this interactive program and uses authentic cultural artifacts such as lava rocks, sea turtle shells, and traditional Hawaiian dance implements as a hands on catalyst for education, fun, and culture. The kids will observe ancient, traditional, and contemporary Hawaiian dance, and be given a dance lesson too! They'll hear the blowing of the conch, the sounds of ancient drums, and the strumming of the ukulele. Photo opps after the performance. Option to receive their name in Hawaiian on an index card. Suitable for children and audience members of all ages. Dance Classes- Dance instruction for private groups and organizations, taught by Malia Chow. In depth or short and sweet. Suitable for Academic Institutions, clubs, organizations, wedding showers, and bachelorette parties. Cost including Venue Rental= $350. Add ½ Sheet Cake (Vanilla, Choc., Guava, Mango, D.F/G.F Coconut, or Cherry)= +$50. Cost including Venue Rental= $425. Add ½ Sheet Cake (Vanilla, Choc., Guava, Mango, D.F./G.F. Coconut, or Cherry)= +$50.